HUKAMNAMA , is a compound of two Persian words “hukam”, meaning command or order, and “namah”, meaning letter. In the Sikh tradition, historically it refers to the letters sent by the Sikh Gurus to their Sikhs or sangats (congregation) in different parts of the country during the period of the Ten Gurus from 1469 to 1708. 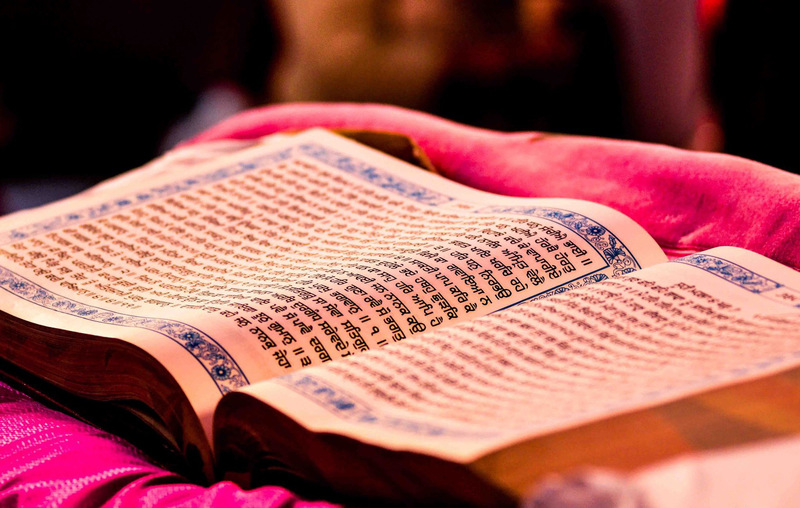 However, now it is used to refer to the Shabd (Sacred Hymn) that is read after the Ardaas prayer is said in the presence of Sri Guru Granth Sahib Ji. In this case the word is can also be shortened to just the “Guru’s Hukam”. Hukamnama is not just a random Shabad. It is a conversation with Shri Guru Granth Sahib ji. This can also be interpreted: I have forgiven your past sins, and I put you on the future. My conversation is with the Lord’s Name, and my counseling is with the Lord’s Name; the Lord’s Name always takes care of me. This line is saying: You can speak to me. You can ask my advice. It is the Name of God that looks after me. So when we take a Hukamnama Sahib, it’s that it’s just a random Shabad that may or may not be applicable. It is a direct message to you. In this short video Bhai Sukha Singh shares two experiences relating to the power of a Hukamnama Sahib. Recorded at West Coast Sikhi Camp, Dec 2014.